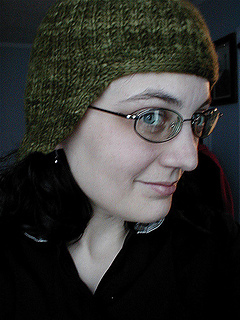 Make Knitted Hats/Cover Your Ears! One of several staff project patterns. 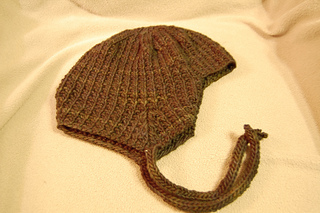 A helmet-style hat with earflaps worked in a garter rib pattern. One skein of the Misti Alpaca Chunky plus part of a second are needed. The designer estimates at least 130 yards but less than the 216 yards in two full skeins. NOTE: This project is shown on pages 118-119 of Interweave Knits, Winter 2005. The pattern is NOT in the magazine, however. Readers are instructed to find instructions for this hat as well as the other six designs on the website.